Scott Z. Burns, the man behind the screenplays for The Bourne Ultimatum, as well as Steven Soderberg’s The Informant, Contagion and Side Effects, was in town to promote his latest effort, The Mercy. Check out our review of The Mercy. Released by Studiocanal and in cinemas now, the film stars Colin Firth, Rachel Weisz and David Thewlis. The Mercy is directed by James Marsh of The Theory Of Everything and Man On Wire fame, and follows the true story of amateur sailor Donald Crowhurst and his decision to take part in the non-stop 1968 Sunday Times round the world event, despite having extremely limited experience. It’s a very British story, and a very British cast, but you are not. 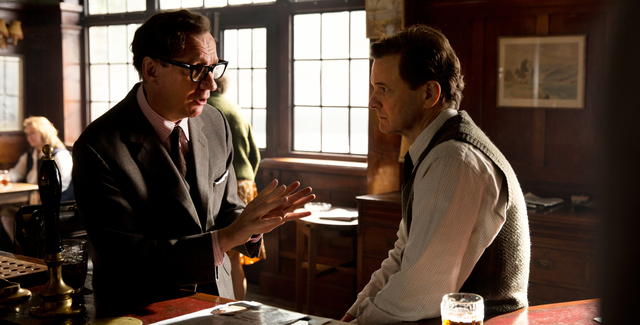 Do you think that helped you, as it did with say Tomas Alfredson on Tinker Tailor? It was a little terrifying to me. Truth be told I did spend some time at university here so I’ve always been very curious about this culture and also about that period of time because it was The Stones and The Beatles were sort of doing really well in the States and so much was happening in 1968 and 69 that it helped a little bit. I hope that I am invisible in my American-ness in the movie, but it is one of the things I’m most afraid of. When you saw the documentary Deep Water, was that the first seed on this journey? I had no idea about the story and I saw this documentary [Deep Water] in Santa Monica, California, about eight or nine years ago and I walked out and I was staggered and I spent some time wandering around feeling very critical of him and then by the next day, I found myself relating to him and finding sort of echoes in my own life and in my own choices that made it hard to judge him. It was such a staggering thing to take on, and there are lots of triumphs along the way. Was there a culture of building people up and knocking them down then, and do you think that has that changed at all? Do you? I think…there’s a lot [of people who] might have said that the end of this movie is on the boat, but to me the end of this movie is the decision that Rodney [his publicist] makes to make him famous and our fascination with a story that has a very seedy unseemly end, seems to now parallel (if not surpass) our interest in a story of someone doing something good, which is something that the press is keenly aware of and certainly profits off of. And that to me is a little bit terrifying and also a commentary of where we are as a society. Donald Crowhurst was a bit of a boffin who in the 1960s married Clare. They lived a modest life and had a family and Donald decided, after Francis Chichester had sailed around the world successfully in one stop, that when the London Times announced a race that would be non stop, that he would enter. Although as a sailor, as far as we can tell, he was not much more than a hobbyist and probably never spent more than a night on a boat, and certainly not alone. But he was seduced by Kipling’s stories. He had grown up a little bit in India and had a taste for adventure, and was very bright and was a successful inventor, had spent some time in the armed forces and was someone looking to do something remarkable, so he entered this race as clearly the most unqualified competitor and invented his own boat and built it and left on the last possible day and went off and had an adventure, and…I’m not going to give away the ending! And in his past he had a history of being a risk taker, and his father also had a business that failed, so one wonders if there is an element in that that sits on his decision making in terms of proving his worth, and also were British people trying to re-establish themselves in the world post Empire? Very much so. In earlier drafts, I got more into his past. His father died very tragically. When I think Donald was about 14, his father died of a heart attack and I think that may have made him less risk averse. He had tried these other businesses with some but not a lot of success, he had actually tried to be an actor at one point, so he was clearly somebody looking for a way of doing something remarkable so if the movie was four hours long, we could’ve gotten into that. I did very much want to connect what he was doing with what was happening in the rest of the world, which the US was going to the moon. It’s mentioned a couple of times in the film, but yeah I think after Monty, there wasn’t a great British hero to be found necessarily and I think he wanted that, he wanted to be an extension of that and be some post World War II hero. Tell me about your research into this, did you meet the family, and did that weigh on you in terms of portraying Donald? I worked closely at the very beginning with the documentary filmmakers, with Jonny Persey and Met films and Jerry who directed the movie, and they were lovely and shared a lot of the archival material they had found, so I was really fortunate in that so much of that had been done for me. I had dinner very early on with Simon, and we talked about his father and I told him that I was really moved by the story and that I had no interest in pillorying his father, if anything I wanted to write a movie that made people connect with that – but also about a love story. And I think for me, a lot of the movie, and my interest in writing it, is how when you watch the documentary and hear what Clare says at the end – that really is what inspired me. Can you love someone who makes a mistake? And is there forgiveness and empathy? And isn’t that actually what love should teach us to do? I think for James, there probably was an echo of that. I remain fascinated by Clare and her decisions and her willingness to consider this from his [Donald’s] point of view. The letter, which we read a piece of at the end, is really a letter that he had slipped in a book in case he didn’t come home. How challenging was it to portray the isolation and getting it right? It’s a problem because so many movies are made now where there isn’t a second of breathing space and there’s another cut, and another noise and another line. It is difficult to convey boredom and solitude without making the audience bored, and we all knew going in, that the passage of time was going to be a difficult thing to convey. What would you like audiences to take away from The Mercy? I hope that an audience sees this and walks out and feels a whole bunch of different feelings. But in the end, I hope that where they get to is a place about defeat and instead of deciding this is someone who did something beyond consideration, that they see some piece of themselves and that they see the need for forgiveness and empathy in the world. Otherwise we are all screwed, because all of us are going to make mistakes and all of us metaphorically are sailing around alone, trying to make decisions that honour the people we love. And more than anything, I think that shame kills more people than we are willing to admit and that maybe by illuminating that, we make it easier for those people to come home. The Mercy is in cinemas now, courtesy of Studiocanal.